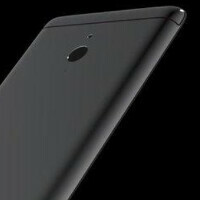 The unannounced LeTV LeMax Pro has allegedly scored over 133,000 on AnTuTu. The phone is loaded with high-end specs including the Snapdragon 820 SoC, which features a quad-core CPU and the Adreno 530 GPU. The handset sports a 6.33-inch screen with a 1440 x 2560 resolution, and includes 4GB of LPDDR4 RAM. Buyers will get to choose between 32GB, 64GB and 128GB of internal storage. The rear camera on the LeTV Max LeMax Pro is a 21MP shooter with OIS. A 4MP Ultrapixel front-facing camera handles selfies and video chats. Keeping the unit powered up is the job of the 3400mAh battery. Android 6.0 is pre-installed. Some new information found today on Weibo indicates that the fingerprint scanner on the phone will be an ultrasonic scanner produced by Qualcomm. The technology allows the manufacturer to place the fingerprint reader inside the screen since the usual sensors are not required. In addition, the LeTV LeMax Pro will launch with the latest Wi-Fi technology. While most high-end devices are shipping with support for Wi-Fi 802.11 ac, the LeMax Pro will work with the Wi-Fi 802.11 ad standard. This allows for data throughput speeds of up to 7 Gbps. 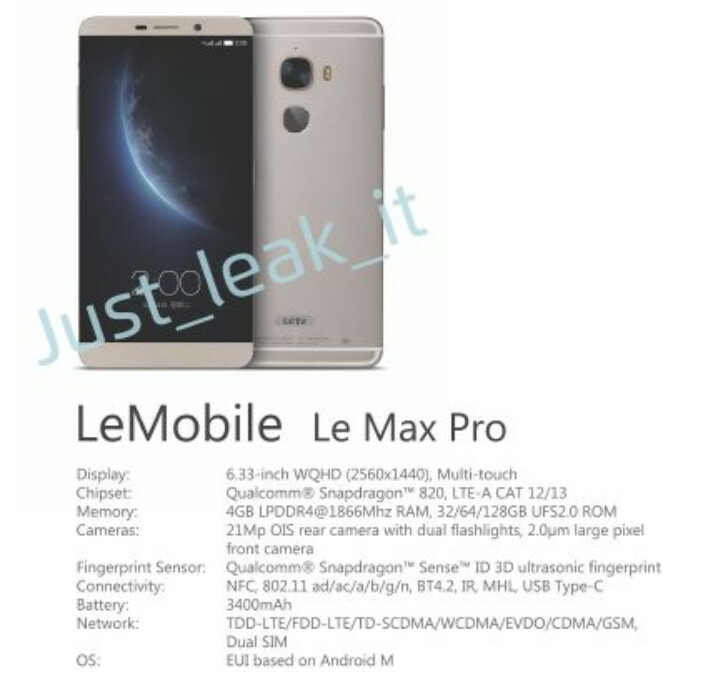 The LeTV LeMax Pro will probably be unveiled at CES. The annual event kicks off on January 6th and we will be there to provide you with the latest news, announcements and video. 2016 will be a exciting year in terms of Android World. Chinese will march an inch closer to Samsung in terms of hardware, software, camera and most importantly the battery life. Yes, but they will take two giant steps backward in the realm of security, thanks to China's "anti-terrorism" bill. I don't know about you, but I'm not down with back doors in my encryption. Mr.Napalm_3nema, by the way i m from India and nearly all chinese OEMs are establishing a seperate data base here in india to prevent chinese governments intrusion and interference outside of China. They can't avoid it so long as they are based in China. The Chinese government says jump, and Chinese companies are already in the air. The Nexus 6p Has A Bigger Battery And Its 5.7in. Come On LeTV, Unless This Phone Is Slimmer Than 7.3mm This Is Unacceptable. Yes I'm Being Nitpicky....Again But This Phone Is A Specs Monster And Should Have A Bigger Battery. This will have a much more efficient SoC, so 3400 mAH should be fine. I know That's Why I Said I'm Being Nitpicky LOL. Or is it an iPhone?